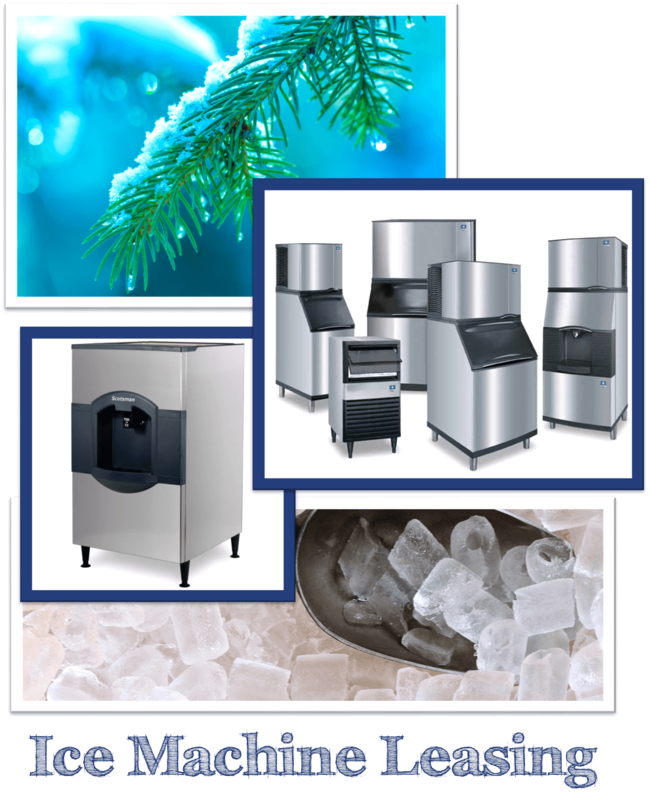 When it comes to choosing your commercial ice machine model, there are plenty of options. There are three basic designs for commercial ice machines: 1) Self-contained air-cooled, 2) Water-cooled, and 3) Remote-condenser air-cooled. Remote condensers can be a bit complicated because it usually involves placing a condenser on the roof. Elite Mechanical recommends and leases all types. What does it mean to be an “air-cooled” ice machine? These ice machines use air to transfer heat out of the machine. The machine’s internal fans and vents circulate the air inside. When air flows through the condenser coils, it removes the internal heat. There are vents in the rear or sides of the ice machine, that lets the warm air out. Air-cooled ice machines are more popular than water-cooled machines because they can be cheaper to operate in most locations. Air-cooled ice machines are also more energy efficient, and better for the environment, than water cooled machines. The ENERGY STAR program is an initiative of the US Environmental Protection Agency that certifies appliances based on their energy consumption. Elite air-cooled ice machines have an ENERGY STAR seal of approval. This means they consume less energy than similar, but less energy efficient ice machines. One of the challenges with air-cooled machines is that as air is pulled through the machine, so are airborne contaminants such as grease and dirt. Especially, in kitchens, airborne grease sticks to and may coat the fan blades and condenser coils. Now dust and dirt naturally in the air sticks to the grease in the system. An insulation layer of dirt is now on the condenser, and that’s not good. The condenser can’t transfer the heat to the air through the dirt. This poor transfer results in lower ice production and potential damage to the equipment. Elite will work hard to make sure your system is working at top efficiency. What does it mean to be an “water-cooled” ice machine? Water-cooled ice machines use water instead of air to transfer heat out of the machine. Water coils run along the condenser coils. The condenser coils release heat into the water. The hot water drains out of the unit, removing heat from the system along with it. This allows the ice machine to maintain a cool temperature. A water-cooled machine doesn’t depend on the ambient air to remove the heat. This allows the machine to operate in warmer temperatures without reducing the output. The challenge with water-cooled machine is their water consumption. Water cooled machines typically need 5 times more water than an air-cooled machine to product the same quantity of ice. If your building has a recirculating water system with a cooling tower, then you can use that system to re-use all that cooling water. However, this is not common with older buildings, which means all of that water is dumped to the drain. Many municipalities are outlawing or severely restricting the use of water-cooled ice machines due to amount of water they consume. When examining the difference between air-cooled and water-cooled ice machines, water-cooled machines are the hands-down choice with a recirculating water system. They require less maintenance, are less subject to variations in air temperature and cleanliness, and typically use 10% less energy than a similarly sized air-cooled machine. Air-cooled ice machines perform best in in a cool or air-conditioned environment, that is relatively grease and dust free. If you are committed to a regular maintenance program, you will have a more environmentally-friendly ice machine. A water-cooled ice machine might work best for you if your water costs are low, and you have a cooling tower to reduce water waste. If you require the ice machine to be outdoors or in a non-temperature controlled environment, this system might be the best for you, as it typically uses less energy to run. When making your decision consider ice output, storage, size, and plenty of other factors before you make a final choice. One final consideration is how and where the ice machine exhausts, the heat it generates when making ice.